There’s a somewhat self-abusive sport that wine bloggers play each month. 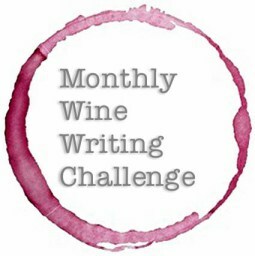 It’s called the Monthly Wine Writing Challenge. It’s where wine bloggers undertake to express opinions, tell a story, entertain their peeps upon a theme cruelly chosen by the winner of the previous month’s challenge. This month our most recent winner The Sweet Sommelier has chosen the theme ‘Luck”. Well, I am the luckiest guy I know so it should have been easy, right? Wrong! There’s a saying in sport – “You have to lucky to be good. And, you have to be good to be lucky.” Essentially indicating that excellence carries a symbiotic relationship with luck. I believe it – you make your own luck either good or bad. With wine, to quote Raymond Babbitt, “You most definitely, most definitely, definitely make your own luck”. “So, how do I get lucky with wine, Bill?” Well, if I knew anything about making wine I’d comment on the techniques used by savvy and experienced winemakers to counteract the negatives of a particularly challenging vintage on their way to an impressive cuvee – getting lucky ‘making’ wine. But, if you’ve been playing along at home (and I’m speaking to my 22 ardent followers, here. Wait, just lost one – so, 21 followers), you’ll have heard of my elderberry wine (Screech and Porch Climber) experience and the fact that I don’t know much about winemaking. I leave that to the purple stained wretches. But, you’re all in luck because I know that I don’t know anything. There’s that word – luck. Anyway, I want to talk about how wine drinkers get lucky. And, no it doesn’t have to do with pick up lines or pharmaceutical assistance. What I’m trying to get to is that we can get lucky with wine. And, it’s pretty easy. LIke in another paradigm, ‘Easy’ and ‘Getting Lucky’ kind of go together. It’s all about trying something new, different, unpronounceable and delicious. As Agnetha, Bjorn, Benny, and Anni-Frid said – take a chance. You get the idea. It’s been a great time to be a wine fan! And, despite climate change’s very real and cruel ravages, I’m assuming that winemakers will have an app for that too soon. When most if not all wine has a pretty good chance to be reasonable to very good to excellent, how can you possibly get really lucky – as in luckier than simply being around during this run? Well, if you want to stick to your fill in the blank with your regular quaff then by all means, go for it. But, you’ll never get really lucky that way. Good luck is redolent (always wanted to use that word – next post it’s going to be “lagubrious”) with expectations being exceeded. How can expectations be exceeded when it’s the same old, same old regardless of how much you like the SO-SO. Let’s put into practice what I’m saying here. I’ve just waddled (no, strided? Strode? Maybe, wandered?) to my basement to get a wine that I have never tried – 2010 Paulett’s Polish River Riesling from the Clare Valley in Australia. I have had very little Aussie riesling. And that’s not meant as a disparaging comment or insult to proud Aussie riesling producers – just making that general point again. Twist the cap, pour, sniff, swirl, sniff again, and gulp. I won’t go into my tasting notes – it could use some time in bottle, though. I just want to say that I’ve luckily found a perfect match for either spicy shrimp or an afternoon in the warm sun (I do remember the warm sun) or just sitting in my office now getting a mild buzz on – by myself. In other words, I’ve luckily discovered a good to very good wine. Pure luck? I think not. I could go on and tell you about my Barolo ‘experiment’ which luckily has turned into a nasty, very beautiful habit with my new favourite wine. Or, how Rioja luckily became my muse. Whatever the hell that means. Anglianico? Love it! Primitivo di Manduria? Gotta have it! See what I mean? I am one of the luckiest guys around. It hasn’t all been good luck. Oh no, I have my stories of The Funky Brunellos, actually a Tuscan band with former members of The Parliaments, and The Day That Bill Swallowed the Very Chunky Sediment. But, I’ve made my luck – both good and bad. I wouldn’t trade the travel for anything.You have to be good to be lucky and lucky to be good. But, you cannot, will not, ever make good luck by staying in a rut. Ruts lead us to Ohwellville and Nottoobadtown. Never Eureka! Love your interpretation of the theme and the fact you got an Abba video in there too.